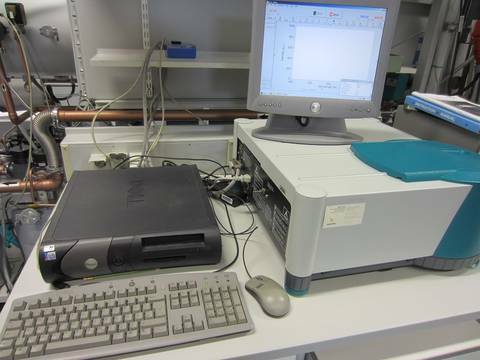 With the Fluorescence Spectrophotometer you can measure the Fluorescence of a solution or a thin film. Therefore different sample holders are available. The Fluorescence of a thin film can also be measured under Nitrogen atmosphere in the glovebox next to the Fluorescence Spectrophotometer.